We here at Chattanooga Vacation Rentals specialize in managing both our own and other people’s homes for short term vacation rentals. We love it. We love guiding our guests through the vacation rental process and showing our guests all that Chattanooga has to offer. We love the industry and working with online travel agencies like Airbnb and HomeAway. We love working with the Chattanooga Convention and Visitors Bureau in finding the perfect vacation home for visiting athletes, convention attendees, families, friends, and couples. What does this mean to you as a potential short term vacation rental owner? We got this. We are the experts in the market, in the area, and in how to create the best experiences for both our guests and for you as an owner. Let’s talk a bit more specifically about who we are and what we do, what we ask of you, and what you can expect. 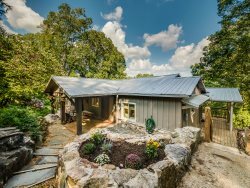 Chattanooga Vacation Rentals is a locally owned company that manages over 20 vacation homes throughout the Chattanooga area (Georgia and Tennessee). We are a team of locals who LOVE Chattanooga. We are licensed by the State of Tennessee, we follow their rules and regulations concerning Vacation Lodging Services. The State of Georgia does not yet require licensing. We understand that your home is an investment (we have several of our own), and we take care of your home as if it were our own investment. The ways we foster your investment for success are by showcasing your home on our own website and on online travel agency websites, by answering guests inquiries and needs quickly and professionally, by keeping your home clean and well-maintained, and by marketing your home and the Chattanooga area to potential guests. The goal is to maintain high occupancy rates, have happy guests, and clean, well-maintained homes. We attend national conferences to stay up to date with the ever changing vacation rental market. Continuing education! Not much. That is the beauty of hiring a vacation rental management company. You will still need to pay your property taxes, insurance, larger maintenance needs and lawn maintenance needs (we will do the leg work), and utilities, (and mortgage if you have one). The linens, towels and dishes will need to periodically replaced (again, we will do the leg work). And, deposit our monthly check to you. For your home to provide you a source of income to offset/cover ownership costs. Often, there is still a significant amount of money left over even after you pay for these things. To still be able to enjoy your home. You can easily block off days that you want to use your home for yourself or for friends and family. That we will treat your property like it is our own to make sure it is taken care of, provides the best possible guest experience, and maximizes profitability for you and our company.